Shipping container home enthusiasts, this might be some design inspiration you could be interested in. 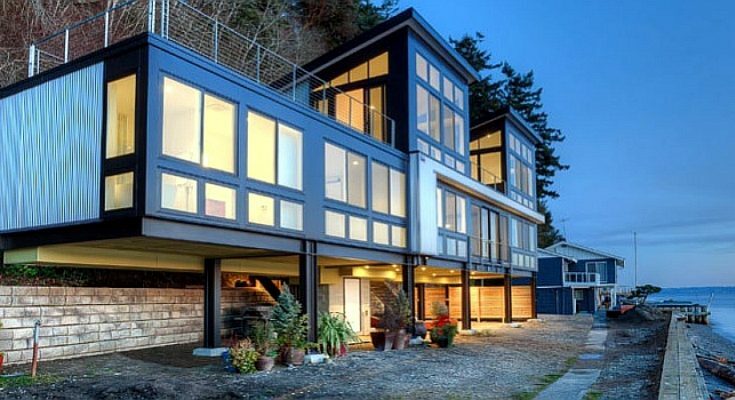 On one of the beaches of the island of Camano, Washington, is this modern house. To avoid costly work on the construction of the foundation, it was built on metal profiles. A side benefit of this building style is that because of the stilts, during inclement weather the owners aren’t afraid of the threat of flooding from the sea and mudslides from the slope. 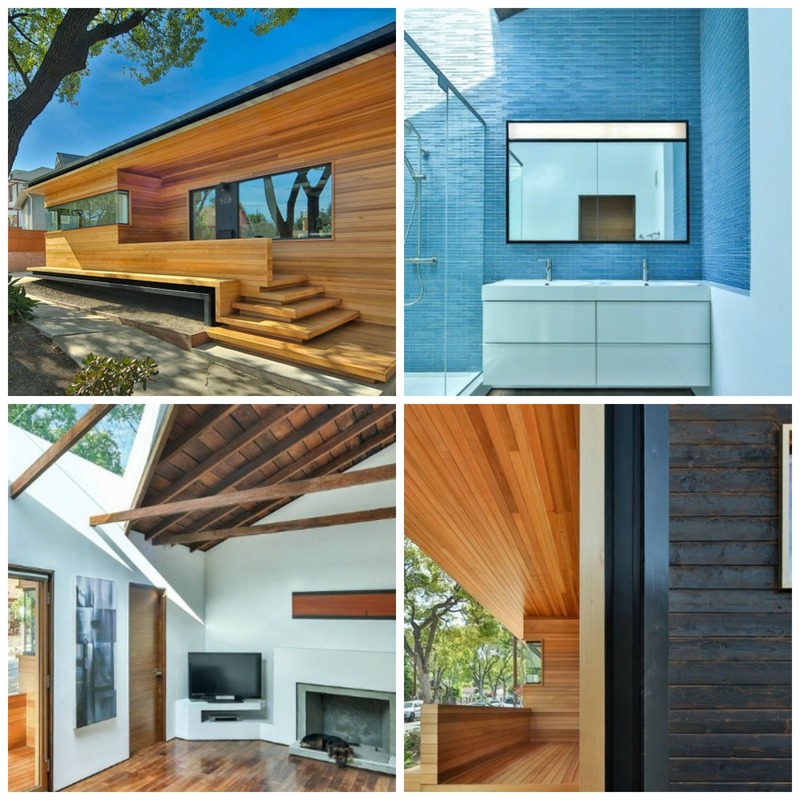 Looking at the design of this boxy modern house, its pretty easy to see how this design could be easily applied to straight shipping container home design, while this particular one used a slightly different building process. After one of the American families had inherited a small house on the beach on Camano Island, the owners decided to build on the site a spacious modern house. To implement their ideas, the work was contracted out to architectural firm Design Northwest Architects. The chosen site was a place on a remote, beautiful beach, but with a number of important landscape features. The fact that the site of the slope periodically experiences mudslides being a major concern. Lack of access to the road would greatly complicate the delivery of heavy equipment and concrete mixers. Therefore, the architects decided to build a house on the steel profiles to a height of 3 meters. In addition, all the free space under the houseis a great place to store boats and kayaks. The house has lots of large windows, to the premises of natural light as long as possible, and the owners can continually admire the views of the vast ocean. The interior of the house is decorated in bright colors. To dilute the color range, the designers have focused as oranges, bright cushions and furnishings made of natural wood for the kitchen furniture. On the top floor there is an exit to the outdoor terrace, equipped on the roof. For more shipping container homes, find them in the Building Homes and Living directory.